Today, I was recognized. 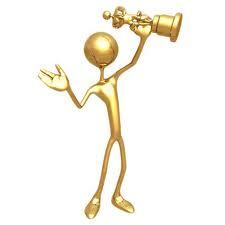 I didn’t even stop to bask in my momentary success and recognition. My mind was immediately fixed upon writing an appropriate un-awkward reply (thanks for the thanks? I think it ended up awkward). Pondering it all, it occurs to me that I didn’t even tell my wife (sorry my love… it slipped my mind… and you weren’t home for supper. Next time I’ll send an email right away, hopefully, maybe? Who am I kidding?). So tonight I was articulating ideas that I’ve been itching to type. Initially it didn’t even occur that I should Press my momentary success from today. My natural tendency is to shrug off the glory, but even the smallest victories should be celebrated (if only for a few brief sentences). So in the spirit of Ecclesiastes chapter 3 “…a time to tear down and a time to build, a time to weep and a time to laugh, a time to mourn and a time to dance…” this is my moment to shine (but really to reflect more than shine). Here’s the note with my own [amendments] to protect the innocent. 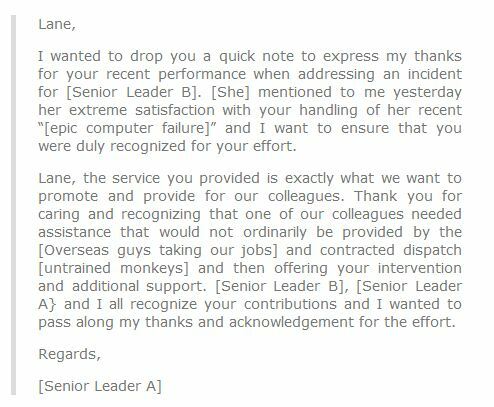 Perhaps the most satisfying part of getting recognized by this particular fellow was knowing that he had driven an outsourcing of my job (and others like mine) only two years before. Just like life, things change, companies change, and leaders’ minds do too. So for me, despite a couple years of mourning, tearing down, and weeping (really more disappointment than all-out weeping), and swapping relative certainty for the unfamiliar, today I feel a wee bit built up, with reasons to laugh, and even reason to dance a little jig (if only to myself, and with a few friends reading along–thanks for being here too). All this to say, I can’t really take any credit. It’s all about shining and reflection. I might show up to work each day, but it’s Christ in me that brings out the best in me. If there’s goodness to be found in me, it’s not me, but rather a reflection of Him. And if I’m honest with myself, anything I do above and beyond the call of duty, I do for my Love of Him. In my weakness, He remains strong. So today, I really owe my thanks to Christ working in me, and how He makes me look good. Thanks be to Him! And it just occurs to me… at the end of my acceptance spiel, just like every other major celebrity at an award show, I end this off by offering thanks to God. Go figure. That wasn’t planned. Really. Does this place Smell Like Teen Spirit? My oldest child started Jr. High this fall. I hadn’t anticipated it, but ended up a bit edgy for both her and us old folks (a.k.a the parents). For Jana, a few tears were shed under the pressure of everything new, unknown, and uncertain. Recalling those uneasy feelings from our own school days, Karen and I found ourselves at a loss for those perfect words to ease our daughter’s worry. That was a few days ago. Everything went just fine. Insert collective sigh of relief here. Most fears quickly deflated, and everyone seems excited by the new year. As our daughter has entered the adolescent years, I’m reminded of how teenagers can sweat, and how those developing sweat glans can… er… what’s the word? Stink. A couple of days ago we visited Jana’s school for a parental orientation. The school board seems to have adopted a sparing usage of the air conditioning. Despite it being September, at the end of the day, the place was stifling and reminded me of the Sahara Dessert. One of the teachers joked about the place being hot, and the importance of making sure our kids took a daily shower (more for her benefit than the kids). Later, as we walked down the hallways to our next class meeting I caught a whiff of something. The school, nearly 30 years old, had a unique odor… maybe even a funk… and then a Kurt Cobain song title popped into mind… Smells Like Teen Spirit. Maybe that’s what he meant? Nope. After I Googling it, I determined that Cobain meant something completely different, but in the end the song title ironically did make reference to an odor. More specifically, fighting odors of the armpit kind…. Teen Spirit was first released by Mennen early in 1991, and with heavy advertising campaigns, it had soon “established a market niche” with teen girls. However, one of its biggest boosts came from the grunge band Nirvana’s “Smells Like Teen Spirit,” a song that was inspired by a friend of lead singer Kurt Cobain, Kathleen Hanna (lead singer of the punk band Bikini Kill at the time), spray painting “Kurt Smells Like Teen Spirit” on his wall (because Tobi Vail, Hanna’s band mate and Kurt’s then-girlfriend, wore Teen Spirit). At the time the song was released, Cobain had no idea that the brand even existed; when he did find out, he was rather upset that the song had apparently been named after a line of deodorant. 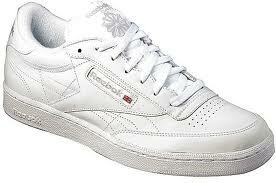 Thinking back to the stink… When I was in Jr. High, grade eight I think, white leather Reebok shoes were all the rage. Pretty much every kid had them, or wanted them. And when I got mine, I was just happy to be in style. A month later, sitting on the floor in a Phys. Ed class, I remember thinking, “What stinks?” I sniffed closer to my shoes… I took my shoe off. Blah! Sure enough, my feet were sweating up a storm in my leather shoes. Together, my feet and the shoes were creating this horrid aroma. Those shoes might have been trendy, but in a second, I vowed I’d never wear them again (at least at school). I figured it was far better to be known for lack of fashion than to be known to have smelly feet. 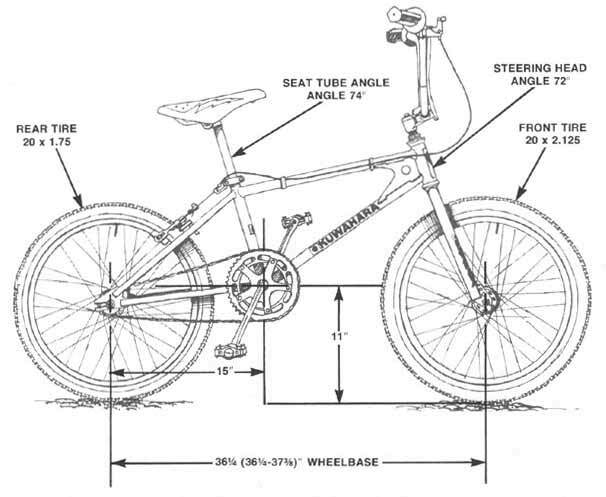 Growing up in the eighties, most guys I knew went through the ever-popular BMX years. And along with BMX-ing came Vans shoes from California. 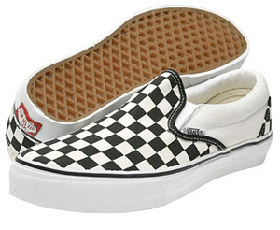 Nearly every kid riding a BMX bike had a pair of those checkered Vans. The black & white pattern was most common and early imports were of the slip-on variety. Eventually different colored checkers and tie-up versions also made it to Canada. Despite being popular and therefore deemed cool, these shoes were pretty much useless. Skateboarders (or should I say skaters) might argue differently, but the rubber bottoms were crappy for running and the canvas tops didn’t breath (ah, yes, more stinky feet for me). Since the shoes were slip-ons, it meant they also easily slipped off, often at unexpected and inopportune times. It wasn’t uncommon to end up bare foot (or in stocking feet) while running a fast football play on the field. 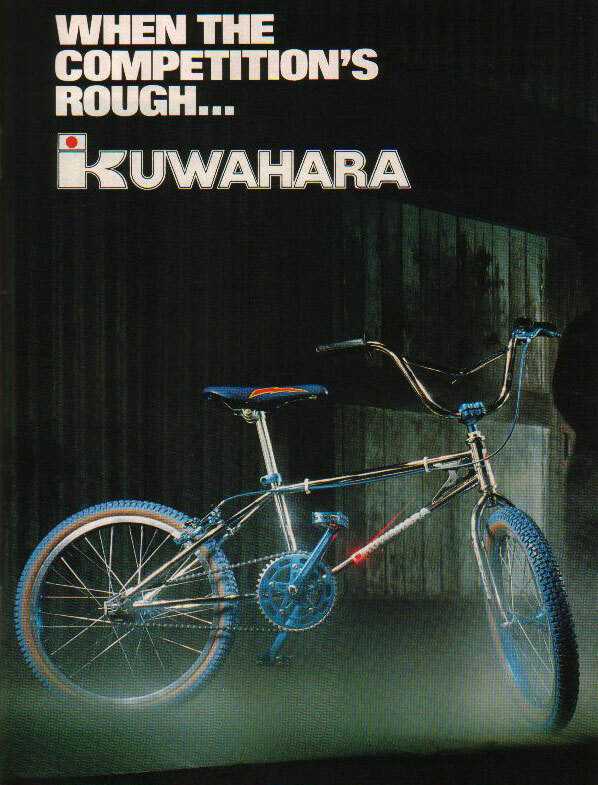 Most the time, I proudly wore my Vans while riding my bike, but on two occations my prized shoes got shredded by the Bear-Claw BMX pedals on my Factory Kuwahara (for the lay person, that was the brand name of my BMX bike). Never the less, my friends and I persisted and wore them anyways–all in the name of popular fashion. Well, actually, we just wanted to be cool. 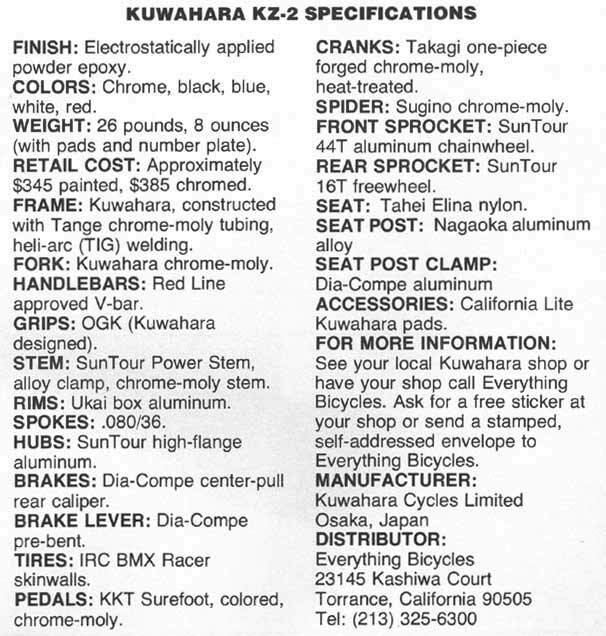 Below is a picture of an IRC BMX tire that came with my Kuwahara. 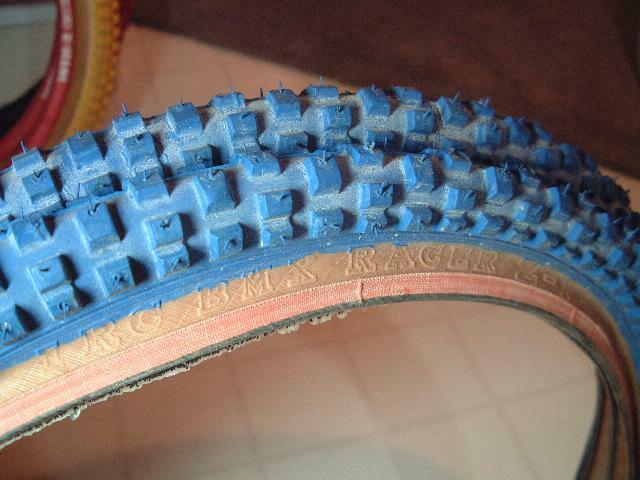 It only took about 2 months and I had to replace the back tire (as a kid, skids and power slides were extremely fun).